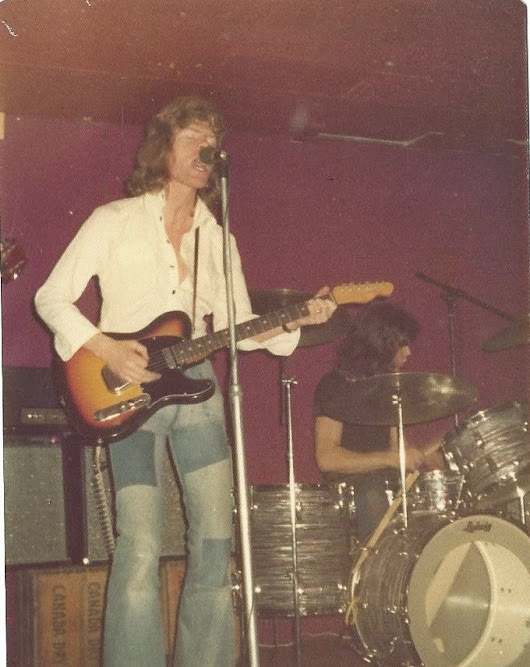 "When Mark and I parted company, Palomino busted, and me in and out of Rome, he got right back in the saddle and formed Randy with Brian Wallis..bass player with Palomino. A great Country Rock band.. I was envious for a while til I got myself together. . wrote a bunch of stuff and got Bardot together! Eventually Mark and I reunited again with the fine band - Heroes! Me and Hankins have been a good team and old friends for many years now, a wonderful guitar man.. the real thing ! " 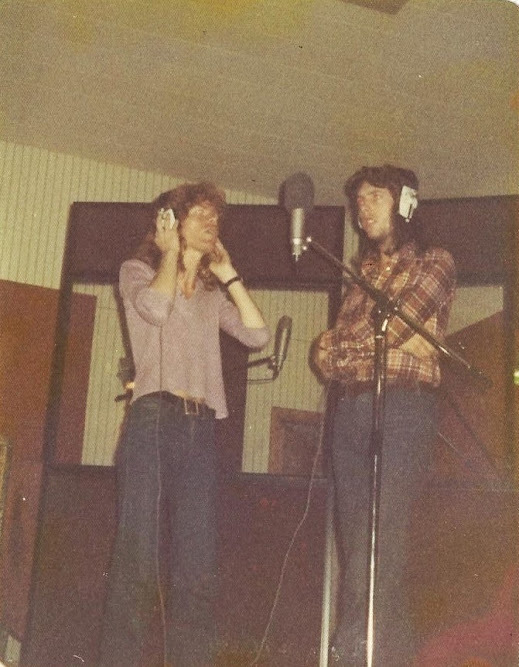 Mark & Brian in the studio..
Brian "Wally" Wallis - bass. More recent photo of George Lloyd. Mark Hankins: " . . .the only fan mail I recall Randy ever getting. 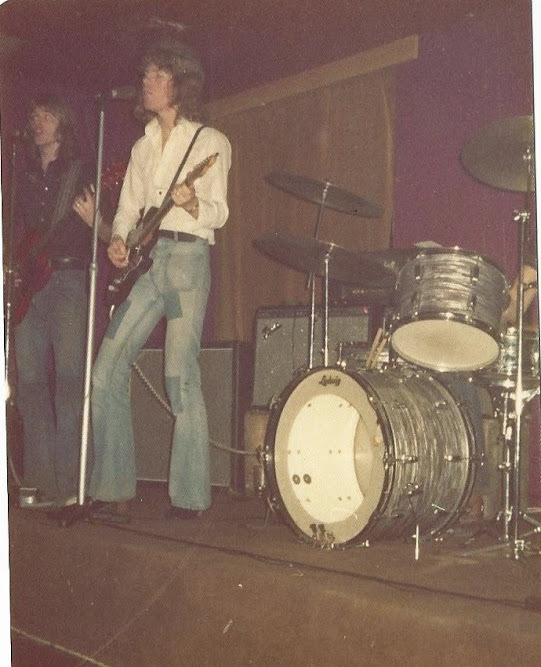 Johnny Cash eat your heart out. . . ."
Randy were a hard working live band and during 1974-1975 played numerous prestigious venues in and around London including The Marquee, Ronnie Scott's and The Roundhouse. 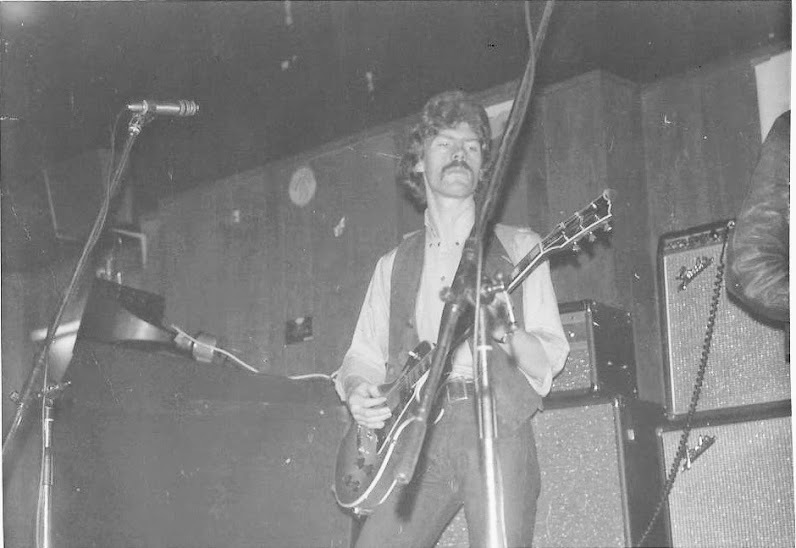 Their 1975 debut album was "Lady Luck"
Nantucket was the band Brian Wallis and Mark formed when Randy folded. . the other guitar man is Alan Denning. . the drummer is Dave Powell. . my first sight of Dave when I went to a Nans gig in Devon. . He, Mark and Wally joined me later in London to form the Heroes ! The guy playing slide, far left, is Fred Davies. 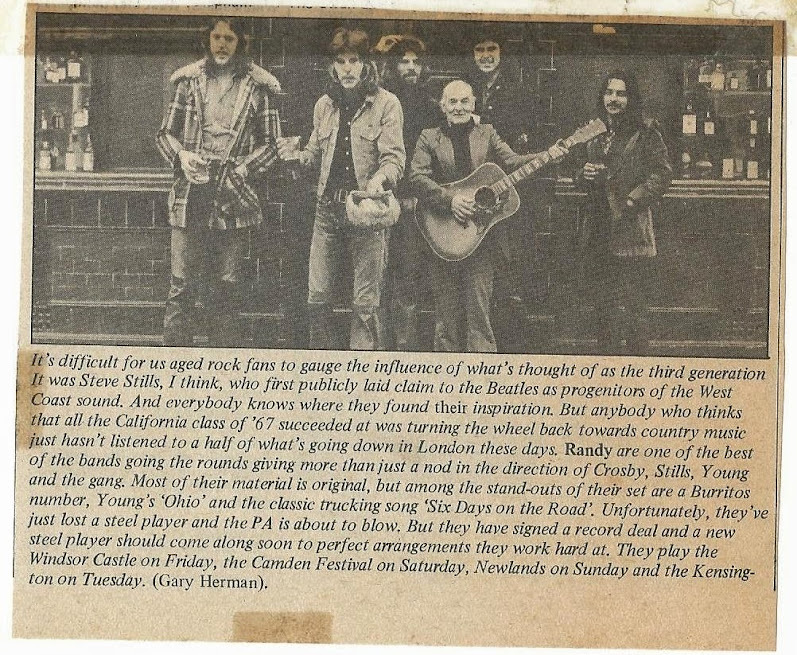 This was about '76 (before I recruited Mark, Wally and Dave for the Heroes in London). I was doing the Bardot thing at the time . . .
Red Transit Man is George Lloyd. . Exposing himself nicely on a Randy tour of Switzerland !